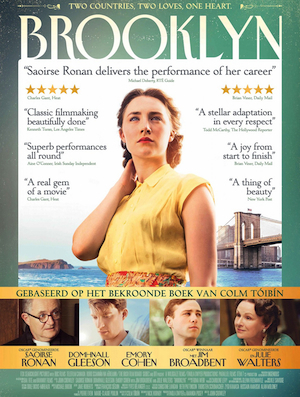 Scripted by Nick Hornby from Colm Toibin’s celebrated novel, BROOKLYN (12A) tells the moving story of Eilis Lacey (Saoirse Ronan), a young Irish immigrant navigating her way through 1950s Brooklyn. Lured by the promise of America, Eilis departs Ireland and the comfort of her mother’s home for the shores of New York City. Homesickness quickly diminishes as a fresh romance blossoms, but soon Eilis must choose between two countries and the lives that exist on either side of the Atlantic. It’s a brilliantly told story of heart warming (and heart wrenching) drama, and Saoirse Ronan’s Oscar-nominated performance is truly beguiling. Launching our new, occasional strand of the best films from around the world (‘Cariad Films’) we’re kicking off in style with a wry comedy from Iceland about – of all things!- sheep-farming. 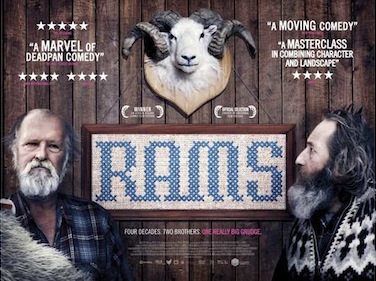 Winner of the Un Certain Regard prize at last year’s Cannes Film Festival, this charming, stunningly shot drama focuses on two Icelandic brothers whose decades-long feud comes to a head when disaster strikes their sheep flocks. Filled with laconic humour and touching human observations, the film has quickly become a firm favourite of those looking for something a bit different from run-of-the-mill comedies. But don’t take our word for it: Mark Kermode called it “hilarious and heart breaking” in his four-star review.